Be Your Spirit is a mind, body, spirit program designed to improve your health and happiness. Be Your Spirit consists of Yoga practices directed at cultivating serenity, physical vitality, and spiritual awareness. The goal of these practices is to develop a greater connection with your Spirit for the purpose of cultivating happiness and health. depression, anxiety, and addiction problems. ​The yoga path to Self-realization. ​Importance of removing obstacles and blockages. ​​ A guide to greater awareness and connection with your inner Spirit. ​​ Learn how to use intuition to communicate with your Spirit. ​​ A guide to connecting to your Spirit through devotion: Bhakti yoga, Krishna, and the Bhagavad Gita. ​A meditative exercise directed at increasing your connection to your Spirit. An examination of the relationship between consciousness and self-identity. An examination of the psychological aspects of self-identity. A description of how the Ego-self is programmed based on pleasure and pain (attachment/aversion). A discussion of different forms of happiness as related to pleasure and self-esteem. A discussion of one of the main principles in Yoga: Intentional serenity, the practice of keeping a calm mind. A discussion of how negative thinking relates to the cognitive errors of childhood. An examination of different types of negative thinking as related to cognitive errors of early childhood and Rational Emotional Behavioral Therapy. A discussion of the main Yoga principle, Non-reaction. Examination of how non-reaction relates to classical conditioning and Hebbian plasticity. Samskara is a Yoga term referring to habits. 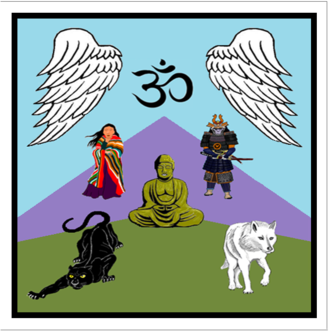 Samskara is discussed in relationship to addiction, anxiety, and depression. Anxiety and circular thinking are discussed. The use of therapists, psychiatrists, and medicine for treating emotional problems is examined. A presentation of a relaxation exercise.